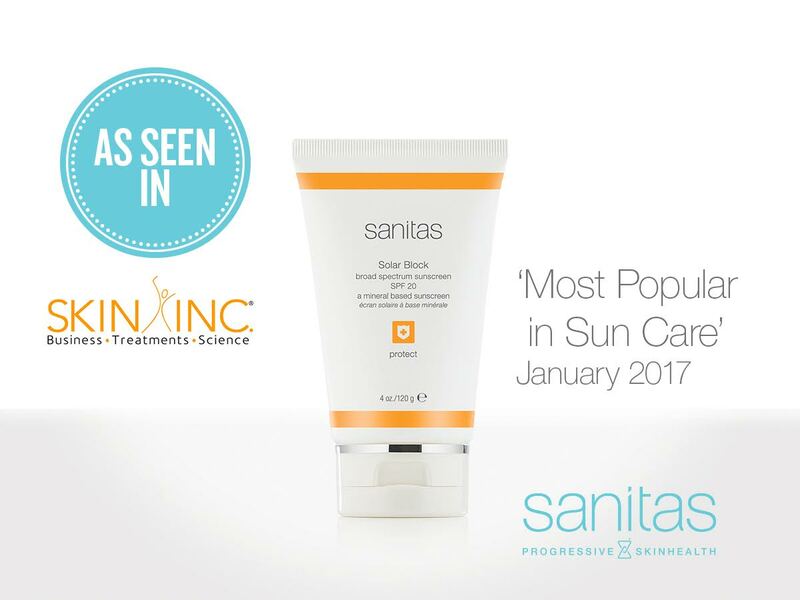 Sanitas Progressive Skinhealth changed it’s branding last July 2016. 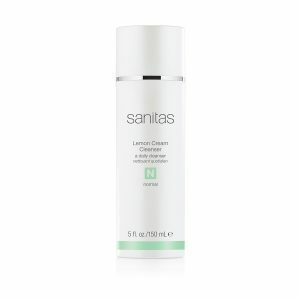 There have been a few mishaps in the bottles and perhaps the change has made some of you apprehensive, but it is the same Sanitas Skincare that we have all grown to love over the past 20 years. Now if you’re still out there looking for old product keep in mind that Sanitas has a shorter shelf life because it has no preservatives, about a year. Not to say that it won’t work but the products efficacy is diminished after a year. Any old packaging that you find is probably a year old. 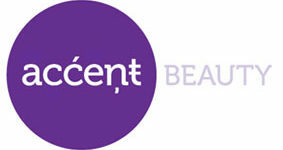 Repackaging, rebranding, new bottles, still the same fabulous skin care. I’m sticking with my must haves. An every day cleanser. It’s creamy and soap free. I like it because it takes off my make up, cleanses my face without making my skin feel dry and beat up. It’s great for all skin types. I ran out of all my active cleansers a few month ago. All I had left was my Lemon Cream Cleanser. For weeks this is all I used. My skin looked better and better every day. I think I was being a little too active. 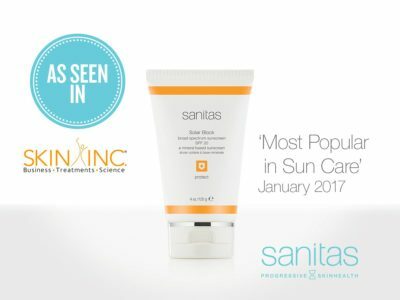 I went to a product knowledge training at Sanitas. Alexis, the formulator explained the best results practices of using Rejuven-A and PeptiDerm Moisturizing Cream. She said to use Rejuven-A at night since it is regulating the turnover of your skin and PeptiDerm Moisturizing Cream in the morning, it has a specific peptide in it that holds the matrix of your skin together. I’ve been doing this practice for 2 years now. It has made the biggest difference in the resiliency of my skin. is a 1% retinol, Vitamin A derivative. It regulates the turnover of your skin. As we age that turnover slows down, when your skin isn’t turning over and shedding it looses it resiliency creating wrinkles and sagging. 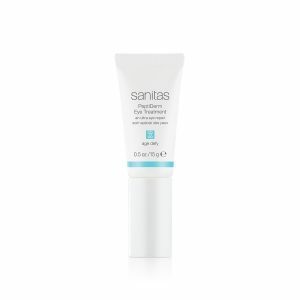 This is where retinols come in handy. It keeps our skin pumping along building collagen and elastin along the way. Peptides are amino acids, the building blocks of collagen and elastin. Amino acids are present in our body but they go where needed. Your body’s defense is going to send your amino acids to organs and body functions that need support, unfortunately due to nutrition and lifestyle there might not be enough to support your skin. Sanitas PeptiDerm Anti-aging line starts with the 5 most powerful peptides on the market. Peptides are proteins, each one specific to do different things. Combined they are very botox like, relaxing the wrinkle, and active in collagen and elastin production, supports hyaluronic synthesis, and stimulates the natural moisture factors and give your skin a little added UV protection. But, here’s the thing. to get to level of spf chemicals have to be added, and often having a higher spf fools you into thinking you don’t need to reapply. You need to reapply, you also need chemical free. The best part is Solar Block is the best under make-up. Your make stays but and you won’t have that oily shine by noon. Post some of your top 5 on my FaceBook page #SanitasTop5 and enter to win one of your top five products.